Lisa Fairchild is the owner and operator at Blossoms by Lisa. As a professional floral design specialist, Lisa is able to manipulate the flowers into the most intricate and stunning designs. She is one of the most talented local flower artists in California and is thus the perfect designer to work with on your wedding flowers. If you are interested in working with this company then you will be treated to a flower consultation. You can discuss your color scheme, what you like and your vision and this artist will make it happen. 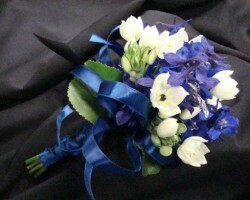 Janet’s Flowers is a company that offers affordable and beautiful flowers that add a special touch to any occasion. For weddings, holiday parties and formal events, having arrangements from this company can be the difference between having bland decorations and having ones that everyone will be raving about. Reviews of this company make it clear that working with the floral artist is also a great pleasure that results in the finest and most customized results. You will never call another company for flowers again once you have worked with Janet’s. 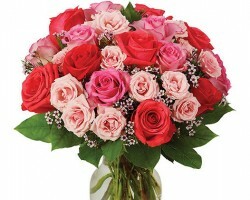 Your wedding blooms should be even more special than the ones that you can find for flowers delivery in Stockton. 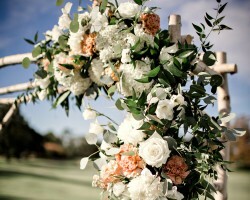 Your wedding flowers should be incorporated into your big day in unique ways. This is why so many couples choose to work with Belle’s Lodi Flower Shop. This company has helped countless couples decorate the reception area and the ceremony space with some of the freshest and most beautiful flowers. This is one of the flower shops that can also incorporate their blossoms into décor for a wedding or in the home. While there are plenty of florists in Stockton, CA to simply buy flowers from, Embellish Floral is one of the premier floral design companies for weddings in the area. 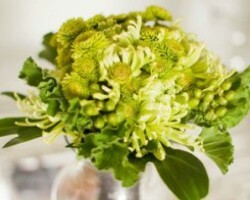 This company does not just grow an array of flowers for you to choose from. This team is creative and imaginative in coming up with custom décor and bouquets. Working with this company is truly the best option if you want to have wedding flowers that look like they are straight from a magazine. For most couples, their wedding is the occasion when they are able to really get creative with flowers to incorporate in the décor, the centerpieces, the bouquets and every aspect of the day to make it even more romantic. 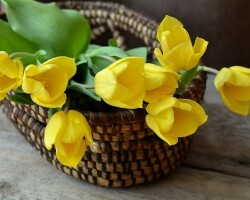 Wesley Berry Flowers is the Stockton florist that is there to help with this and so much more. This company has arrangements to choose from that have been proven to accent a wedding day perfectly as well as the potential for custom arrangements and even specific flowers for the couple to manipulate themselves.